Welcome back to the February 2010 issue of the Bangkok Travelbug. 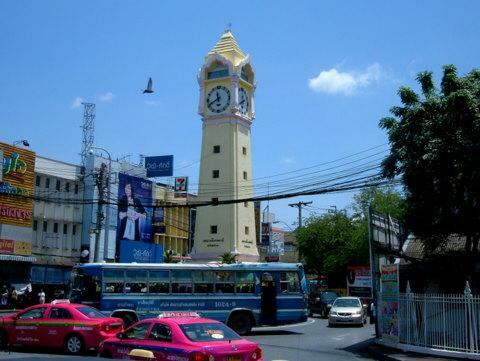 This month we are visiting the old province of Nonthaburi just north of Bangkok. February is very special month for me, more so this February. 14 February is St Valentine’s Day; it’s also the first day of the Lunar New Year. What’s more, it’s my 7th anniversary in Thailand. To mark this special occasion, we revisit to the province of Nonthaburi, where I first lived when I took up residence in Thailand in 2003. In 1995 during one of my visits to Bangkok, a friend and I hopped on a Chao Phraya river boat and took a trip to the end of the line. We had no idea where we were going. When we reached the terminal pier we didn’t even realize it and had to be shooed off the boat. 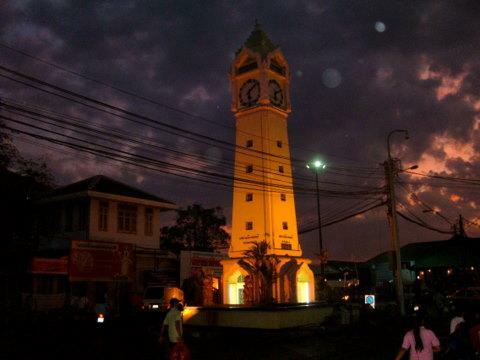 However I remember this clock tower. In 2003 when I came to live in Thailand, my apartment was in a place I had never heard of before. I didn’t know a thing about the place as it wasn’t in Bangkok or any of the provinces I have visited. When I saw the clock tower, the memories came flooding back. I was here at this pier eight years ago, in the province of Nonthaburi. During my visits to the pier, I paid scant attention to a huge old dilapidated building there. 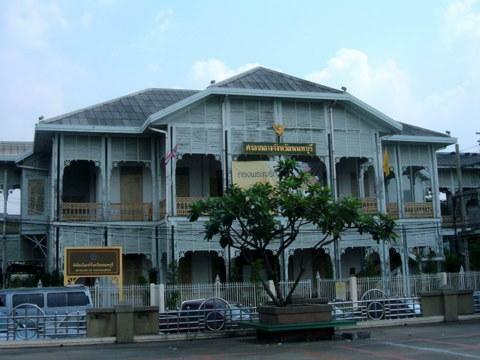 This 100 year old building is now a national heritage and houses the Museum of Nonthaburi which opened in September 2009. A tour of the museum gave me an insight into the history of province which was my first home in Thailand, her people, their way of life, culture, arts and craft. 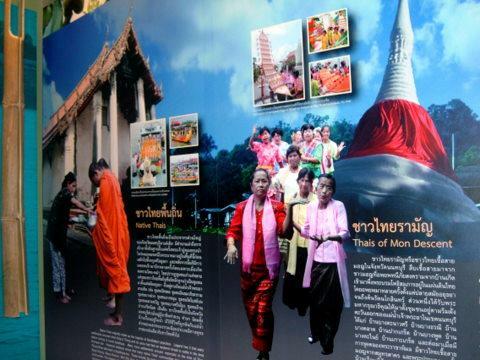 Nonthaburi is an old province with a long history, created in 1548 long before Bangkok was even thought of. 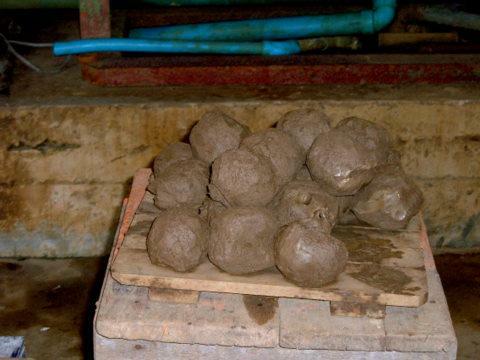 With an ethnic mix of Chinese, Mon, Muslim and Thai, the province is blessed with a rich alluvial soil that gives us the famous kan yao (long stem) durian. 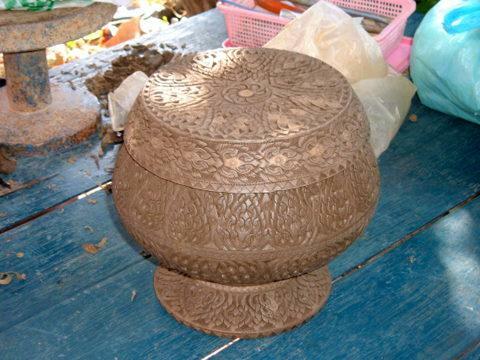 The same rich soil provides the material for the famous Nonthaburi pottery. Nonthaburi is also the home province to a number of famous Thais; for example Field Marshall Phibun Songkhram, Prime Minister of Thailand during World War II and Master Sakhon Yangkhiasot, the man who gave us the Joe Louis Puppets. 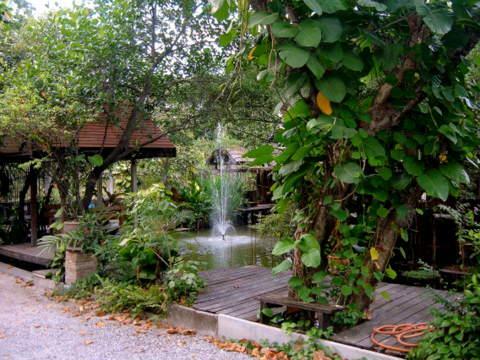 Sai Noi district is right at the northern tip of Nonthaburi province. It’s an area that’s off the tourist circuit and every little is written about it. 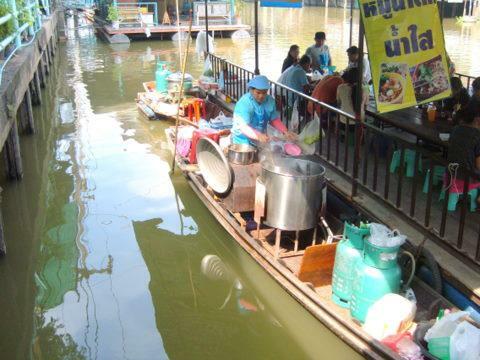 The district is home to the Sai Noi floating market a local market serving the community. Unlike other floating markets, Sai Noi is very laid back and it’s a pleasant place to laze the day away over coffee by the canal while feeding the fishes. You’ll get a chance to see the life style of the community living along the canal as well. If you have a favourite shot of Bangkok or Thailand, share it with us in our photo sharing gallery. View what others have submitted. 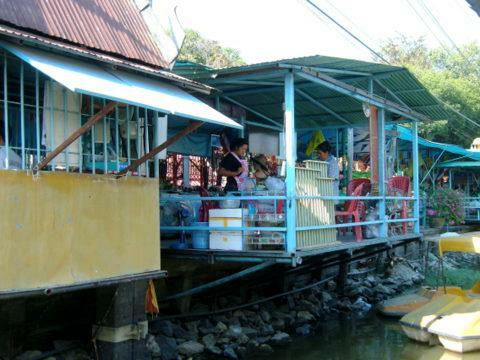 Ko Kred is an island in the Chao Phraya River that’s home to an old Mon community. It’s a pleasant weekend getaway from the city to stroll through the weekend market and quiet country lanes. 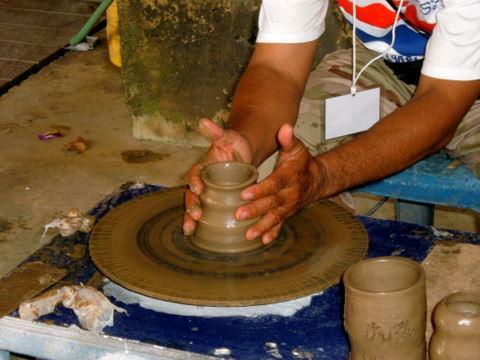 The island is home to a thriving pottery industry. 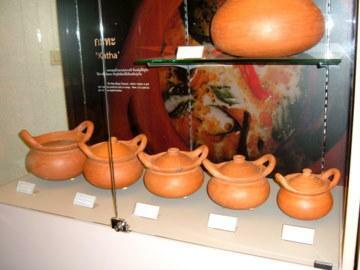 On my second visit to Ko Kred, I got a chance to see at close range how pottery is made. 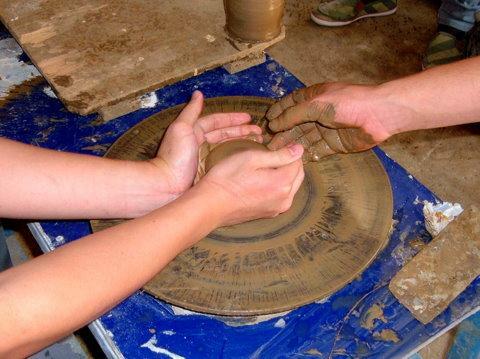 Visitors also had a chance to try their hand at pottery but it’s not as easy as it looks. The people in the next few pictures were visitors from the group not the potters. 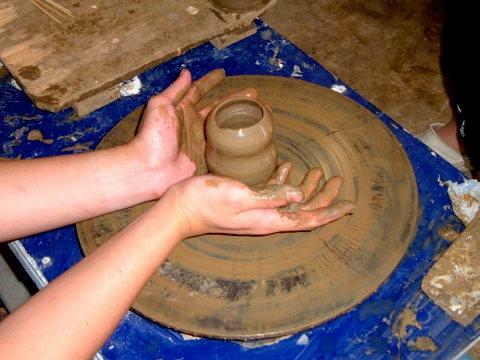 As the turn-table rotates, the person cups his palms around the lump of clay and gently coaxes it into the desired shape. 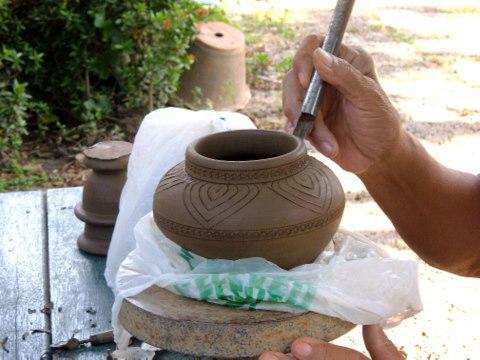 Fingers are used to shape the contours and also to create the space inside the pot. 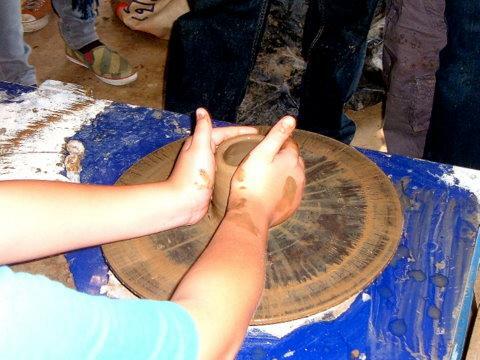 The more skillful can even vary the contours by applying different levels of pressure with the fingers. After watching all this I decided to try. 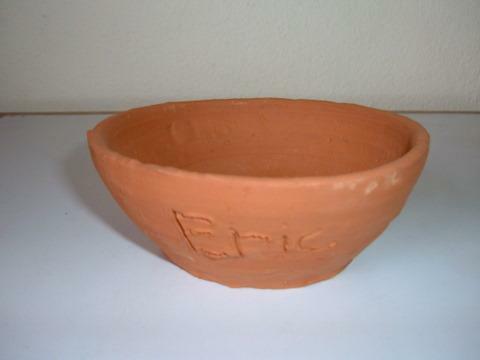 The first lump of clay splattered all over me. My second attempt with a fresh lump was marginally better. It was nothing to write home about. But still it’s proudly on display at home. The following three pictures are on engraving done by a pro. 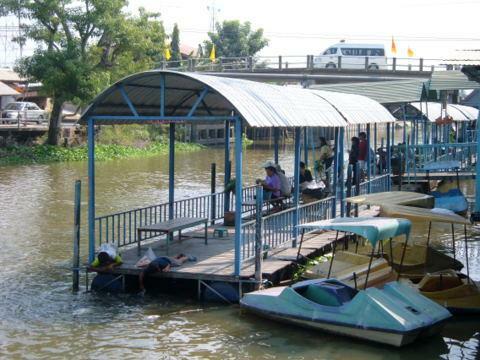 Our last stop in the Nonthaburi tour is a bit of a tongue twister. Ban Som Song Saeng was the home of Master Montri Tramot (1900 – 1995) a famous classical musician who has lived through five reigns of the Chakri Kings. Born an orphan in Suphanburi, Montri Tramot got his early education in a temple school. His hard work and determination brought him national acclaim and recognition. 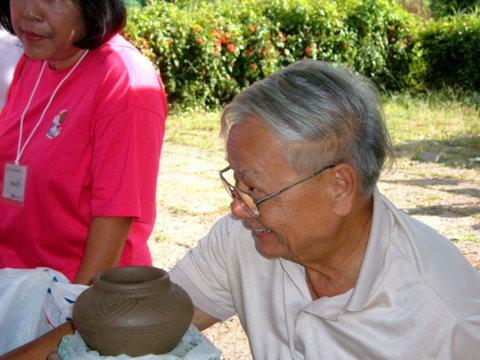 He was given the National Artist award for Thai classical music in 1985 and the ASEAN Artist award in 1987. His achievements include writing the first textbook on Thai classical music and composing more than 200 songs. 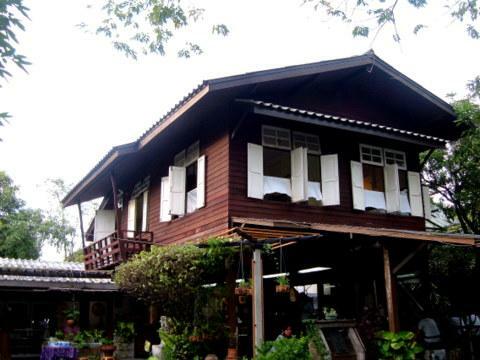 Ban Som Song Saeng, Master Montri’s home with its beautiful garden, is now a museum to preserve his memory. 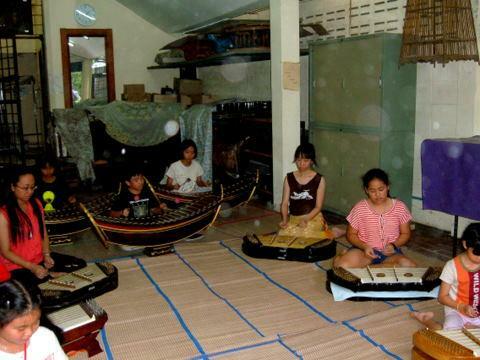 His children and grand-children, who live in another house on the grounds look after the place, conduct tours of the home and lessons in traditional Thai musical instruments. The children in the weekend music class conducted by Master Montri’s grand-daughter gave us a short presentation of their skills. The boat like instrument to the rear is the ranard or xylophone, the flat box like instrument is the khim or dulcimer. 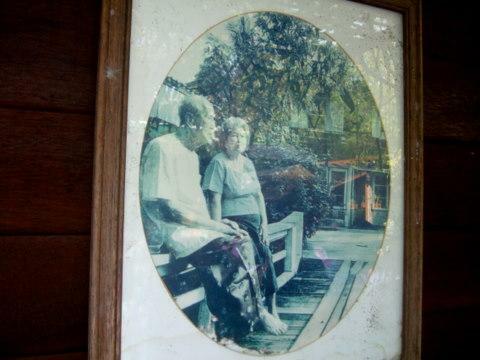 After he retired in 1962, Master Montri lived a humble and frugal life in Nonthaburi till the end of his days. Though he wasn’t a native of the province, Nonthaburi honours him in the Hall of Fame in the Museum of Nonthaburi. In Soi Tiwanon 3 where his home is located, the 23 lanes branching off the main soi are named after Master Montri’s compositions. The tour of these places finished at about 6:30 in the evening. 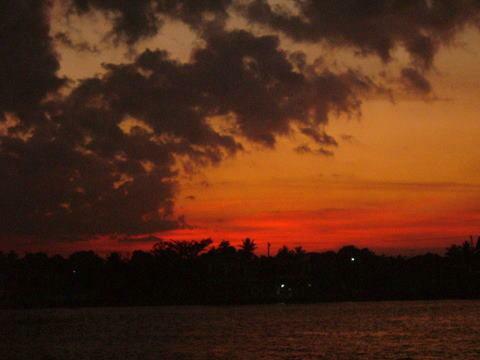 Before leaving Nonthaburi that evening, these were two of my parting shots taken at the pier. 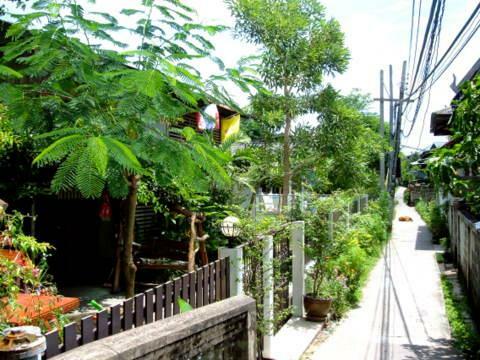 I experienced some of my happiest days when I lived in Nonthaburi from 2003 – 2006. On some evenings I would watch the sunset from the balcony of my apartment. It was such a joy to see a glowing fireball in a darkening sky streaked with bright red and crimson, slowly mellowing at twilight. So it was fitting that I took this as I left the place that will always remain in my heart. Visits to the Museum of Nonthaburi, Sai Noi, Ko Kred and Ban Som Song Saeng were part of a tour organized by the Museum of Nonthaburi. My thanks to the staff of the museum for a superbly managed and informative trip. Chinese New Year in Bangkok. See you then.